The doctorate is a great way for nurses to broaden their professional horizons. There are two types of doctorate nursing degrees: the PhD (Doctor of Philosophy) and the DNP (Doctor of Nursing Practice). The PhD is more research-oriented, focusing on the broad application of nursing in practice, such as developing system-wide solutions and working with setting policies. The DNP is designed for those in active practice, and is ideal for nurses who would like to become nurse practitioners (NPs). Students have a wide range of choices for programs that offer an online doctorate in nursing, so figuring out which ones to apply to isn’t always an easy decision. We’ve made the process more manageable by creating a ranking list that considers several factors that are important to most students. At University of Central Florida, nurses have the opportunity to earn a PhD in Nursing. This degree is ideal for nurses who would like to work as nursing faculty members or leaders in health care systems. While this program is delivered online, students are required to participate in 2 multiple day intensives on campus. Students may opt for the BSN to PhD or MSN to PhD track and must complete 75 credit hours beyond a master's degree in nursing. The curriculum consists of 51 credit hours that focus on research methods and knowledge development as well as 15 dissertation credit hours and 9 credit hours of electives. Professors who teach the PhD in Nursing are engaged in various areas of nursing research and provide students with real-life examples. Students will be encouraged to participate in research conferences so they can get to know the faculty members as well as one another. Many graduates are seen working in academia, health care or management consulting. Nurses who hope to land leadership positions in health care or would like to achieve the highest level in specialty practice may benefit from a Doctor of Nursing Practice at The University of Alabama. This degree can be complete on a full or part-time basis and is accredited by the Commission on Collegiate Nursing Education or CCNE. It consists of courses such as Clinical Data Management and Analysis, Population Health in Advanced Nursing Practice and Writing for Publication. In addition, it involves a scholarly project focused on practice or leadership, in which students work with faculty advisers, clinical advisers and alumni who serve as mentors. Prospective students are required to hold a master's degree in an advanced nursing practice area, a minimum GPA of 3.0, an RN license and advanced practice certification or the ability to pass the certification before completing 12 credit hours. Following graduation, students will have the knowledge and resources necessary to improve quality and access to care for diverse and underserved populations. Winona State University-Rochester offers a Doctor of Nursing Practice for registered nurses with bachelor's or master's degrees who want to expand their nursing education and skills. Students can select from a speciality such as Adult-Gerontology Acute Care Nurse Practitioner, Family Nurse Practitioner or Adult-Gerontology Clinical Nurse Specialist. This 74-credit-hour degree consists of core nursing courses, speciality courses, clinical experiences and a clinical project. A few examples of the core nursing courses are Health Policy and Quality Health Care Delivery, Evidence-Based Practice and Statistical Methods for Health Care Research. While in-person courses are available, most students complete this program primarily online. To enroll in the Doctor of Nursing Practice, students must meet all requirements. These requirements include a bachelor's degree in nursing or a master's degree in nursing, a minimum GPA of 3.0, evidence of an RN license, at least 1 year of clinical nursing experience, 3 references and a statement of professional goals. Nurses who wish to pursue a terminal degree in nursing may enroll in a Doctor of Nursing Practice at Northern Arizona University that can be completed entirely online. This degree focuses on enhancing nursing in rural and underserved populations. It was designed with the standards from the American Association of Colleges of Nursing (AACN) and Commission on Collegiate Nursing Education (CCNE) in mind. Admission criteria for this program includes a master's degree in nursing, a minimum cumulative GPA of 3.0, an RN license in good standing, 3 letters of recommendation and and a statement about why a student wishes to complete a Doctor of Nursing Practice. There may also be a required interview with a faculty member. To receive a Doctor of Nursing Practice at Northern Arizona University, students must complete 74 to 79 credit hours and 1,000 hours of clinical practice. Once they graduate, students will be well-versed in clinical practice and prevention, critical reasoning and leadership. At Ohio State University, nurses may further their careers by earning a Doctor of Nursing Practice online. A few examples of the types of courses in this program include Leadership Throughout Organizations and Systems, Quality Improvement in Doctoral Nursing Practice and Strategic Macrosystem Management for the Doctor of Nursing Practice. There are 2 pathways into this program, BSN to DNP and Post-Master's DNP. Students in the BSN to DNP can select from an advanced practice specialty like Adult-Gerontology Acute Care Nurse Practitioner or Pediatric Acute Care Nurse Practitioner. They can earn their degree in 4 years of full-time study or 5 years of part-time study. Those in the Post-Master's DNP may pursue the clinical expert or nurse executive track. Regardless of which track they choose, students in the Post-Master's DNP program can graduate in 2 years of full-time study or 3 years of part-time study. All students will be required to work with a faculty adviser to complete a final scholarly project that focuses on a topic such as translational research or program development. Nurses who hope to become leaders in nursing may benefit from the online Doctor of Nursing Practice in Leadership at Boise State University. This program consists of a variety of courses that can help nurse leaders succeed. These courses are related to finance, information systems, policy and advocacy, organizational leadership and project management. At the start of the program, students will need to select a scholarly project, which will directly or indirectly improve the practice of nursing and health outcomes. All of the courses they take throughout the program will allow them to complete the project successfully. Prospective students must hold a master's degree in nursing or a master's degree in a related field and a bachelor's degree in nursing. In addition, they are required to have a cumulative GPA of 3.0 in their undergraduate and graduate coursework. The Doctor of Nursing Practice in Leadership is available to students from all states except Georgia, Louisiana, Tennessee and West Virginia. Nurses who hope to earn the highest level of formal education for nursing research should consider the Doctor of Philosophy in Nursing at Stony Brook University. This 54-credit-hour program prepares students to perform original research to improve nursing knowledge and practice and teaches them how to integrate nursing knowledge to influence policy. Qualitative Methods in Nursing Research, Philosophical Foundations of Nursing Science and Biostatistics are a few examples of the courses in this degree. In addition to completing all required courses, students must participate in a dissertation and practicums that focus on research and teaching. To earn a Doctor of Philosophy in Nursing from Stony Brook University, students must hold a Bachelor of Science in Nursing, a master's degree in nursing or a related discipline and a current New York registered professional nurse license. In addition, they are required to submit all official transcripts, GRE scores, 3 letters of recommendation and proof of the completion of a graduate-level statistics course with a C or higher. At The University of Mississippi, students may enroll in a PhD in Nursing. This program is intended for nurses who wish to pursue careers in education, nursing leadership, research or policy. Those with a bachelor's degree in nursing can bypass the master's degree and earn a PhD in Nursing. A post-master's PhD option is available for nurses who hold a BSN and graduate degree in nursing. The curriculum of this program will focus on research methods and practice, statistics, philosophy of science, ethics in research, writing for funding and theory application. Admission criteria includes a BSN and/or a master's degree in nursing or a related field, eligibility for RN licensure in Mississippi, a minimum graduate GPA of 3.2, GRE scores of at least 300 on the verbal and quantitative sections and an analytical score of 3.5. Prospective students must also submit 3 letters of reference and complete a personal interview. A Doctor of Nursing Practice for certified nurse practitioners is offered at Ashland University. This program focuses on leadership development, practice management, evidence based practice, informatics and advocacy. It consists of 32 to 38 credit hours as well as courses such as Principles of Practice Management, DNP Role and Interprofessionalism and Health Informatics. Students must complete a DNP project in addition to all required courses. Prospective students must be advanced practice nurses with a master's degree and a minimum GPA of 3.0. Additionally, they are required to submit 3 letters of recommendation, complete an undergraduate or graduate level statistics course, write a 2- to 3-page paper that describes their clinical area of interest and participate in an interview. A maximum of 9 graduate level credits may be transferred into the DNP program. Only courses in which students earned a 3.0 or higher are transferable. At Illinois State University, students may earn a Doctor of Philosophy in Nursing. This program is designed for nurses who want to work in research in government, business or industrial environments. Once enrolled, students are matched with researchers at the university's college of nursing who will advise them throughout the program. While many of the courses can be completed online, some courses will require students to visit campus one day per week. Admission requirements for this degree include a Master of Science in Nursing, an RN license, a minimum GPA of 3.0 and the completion of a master's level statistics course. In addition, students must submit GRE scores, a curriculum vitae, 3 references and a 3 to 5 page double-spaced essay explaining why they are interested in research and outlining their future career goals. Upon competition of this program, students will know how to design and perform research on a variety of education, clinical or health policy topics. The University of Texas at Tyler offers a PhD in Nursing. With the exception of a 5-day orientation, this program can be completed entirely online. Students can select from 2 routes, the BSN to PhD or MSN to PhD. They can expect to take courses such as Scholarship in Nursing, Qualitative Research Design and Transcultural Health. In addition, they will be required to complete a dissertation. Since The University of Texas at Tyler is a member of The Nursing Education Xchange, students may take courses that are not offered at the university without paying a different price per credit. Although 4 years of full-time study is recommended, students may enroll in this program on a part-time basis and graduate in 5 years. Once they graduate, they will be able to perform research to advance nursing science and design creative strategies to improve nursing and health education. Many PhD in nursing graduates are seen working as nursing faculty members, directors of nursing research or directors of clinical services. Murray State University gives students the chance to earn a Doctor of Nursing Practice or DNP that is accredited by the Commission on Collegiate Nursing Education or CCNE. It is an alternative to doctoral programs focused on research and designed for students who are hoping to complete a terminal degree. Students can choose from the Bachelor of Science in Nursing or BSN-DNP or Post Master's or PM-DNP programs. Those who opt for the BSN-DNP can opt for the nurse anesthetist or family nurse practitioner speciality. While both of these programs can be completed in 3 years on a full-time basis, the nurse anesthetist speciality is 84 credit hours and the nurse practitioner is 76 credit hours. Students in the BSN-DNP can complete their first year of study online and the second and third years through a hybrid format. The PM-DNP is a 2 year, part-time program with 32 credit hours and can be completed 100% online. Students may earn a Doctor of Nursing Practice or DNP at Southern Illinois University Edwardsville. Nurses with a master's degree in advanced practice nursing or a bachelor's of science in nursing and a master's degree relevant to their advanced practice position are eligible for this program. Prospective students must also hold a current RN license and complete a graduate-level statistics course with a B or better within a 6 year period. Although most of this program can be completed online, students will be required to attend 2 in-person immersion experiences for 3 days each August. A few examples of courses in this degree include Health Policy and Finance for Advanced Nursing Leadership, Advanced Applications of Epidemiology in Practice and Ethics Studies for Advanced Nursing Practice. To graduate with a Doctor of Nursing Practice from Southern Illinois University Edwardsville, students must complete all courses and a final doctoral project. Once they graduate, they will be prepared to improve patient care and health care through research, design new care models, assess outcomes and use technology to improve outcomes. At University of Toledo, students may complete a Doctor of Nursing Practice or DNP online. The main goal of this program is to teach students how to interpret nursing research into evidence-based practice so they can provide the best patient outcomes. It was created to meet the intricacies and demands of today's health care environment by raising the clinical practice of advanced practice nurses and nurse administrators. The DNP consists of a doctoral project, final practicum and courses such as Scientific Basis of Nursing Practice, Organization and Systems Leadership in Health Care and Evidence Based Nursing Practice in Direct Care. Students are only admitted in the fall semester and must complete 36 credit hours on a part- or full-time plan of study. To be considered for admission, students must hold a master's degree in nursing from a program that is accredited by CCNE or NLNAC and a minimum cumulative graduate GPA of 3.3. The University of Iowa gives students the chance to earn a Doctor of Nursing Practice or DNP. Although most courses are available online, some are only offered in-person. This degree teaches students how to develop clinical prevention and health interventions, influence health care policy and assess analytical methods for evidence-based practice. Prospective students are required to hold a bachelor's or advanced degree in nursing, a minimum GPA of 3.0 and an RN license. They must also complete a graduate level statistics course and submit a statement of purpose and resume. Once enrolled, students will focus on an advanced clinical specialty such as family nurse practitioner or nurse anesthetist and take courses related to economics, finance, change theory and public policy. They will also complete a DNP project where they will analyze a topic that contributes to advanced nursing practice in some way. Students will work with an adviser and complete this project within 3 semesters. Florida International University allows students to earn a Doctor of Philosphy in Nursing. This program prepares nurses for research and leadership positions in health care as well as government and health care-related private organizations. It involves 6 components including program of study, candidacy examination, dissertation proposal and defense, dissertation research, dissertation writing and dissertation defense. Students who enroll on a full-time basis can graduate in 4 years. Those who wish to earn this degree must hold a master's degree in nursing, a cumulative graduate GPA of 3.3 or higher and a Florida RN license. They are required to complete a master's level statistics course and submit their GRE scores as well. Students who hold a Bachelor of Science in Nursing may also earn a Doctor of Philosophy in Nursing as long as they have an overall undergraduate GPA of 3.0, a RN license in the state of Florida and take the GRE. All students will work with an academic adviser to plan their program of study. A Doctorate of Nursing Practice or DNP is offered at University of Colorado Colorado Springs. This program can be completed entirely online and is based upon The Essentials of Doctoral Education for Advanced Nursing Practice from the American Association of College of Nursing and the National Organization of Nurse Practitioner Faculties Nurse Practitioner Core Competencies. To enroll in this program, students must hold a Master of Science in Nursing from a program accredited by the CCNE and NLN, a cumulative undergraduate GPA of at least 2.75, a cumulative graduate GPA of 3.3 or higher and a national certification as a nurse practitioner or clinical nurse specialist. They must also submit an application essay and curriculum vitae. Upon completing a DNP from University of Colorado Colorado Springs, students will be able to create new models of care and use data and technology to determine how to improve patient outcomes and health care systems. West Virginia University offers a PhD in Nursing. This is a part-time program that consists of online and in-person courses and can be completed in 3 years. It is designed to prepare nurse scientists and scholars for positions in teaching and research. Students who enroll in this program can expect to take 55 credits of post-master's courses. A few examples of these courses include Theoretical Basis for Nursing, Quantitative Research Methods and Health Care Leadership. Before taking the qualifying exam, students are required to submit 1 first-authored manuscript to a peer-reviewed journal. In addition, they must have 1 first-authored, peer-reviewed manuscript accepted for publication before their dissertation defense. Admission requirements include a master's degree in nursing, a minimum grade of "B" in graduate statistics courses and proof of current license to practice nursing. Prospective students must also submit their official bachelor's degree transcripts and an essay about 1 or 2 faculty whom they would like to work with. At the University of Nevada, Reno, students may enroll in an online Doctor of Nursing Practice or DNP. This is a terminal degree for nurse practitioners, nurse midwives and nursing leaders in a variety of health care organizations. There is a Post-Master's DNP available for those who have a master's degree in nursing as well as BSN to DNP for nurses who only hold a bachelor's in nursing. Students who opt for the Post-Master's DNP or BSN to DNP must attend a 2-day campus orientation and spend 1 day on campus to share their capstone project. The Post-Master's DNP can be completed in 8 semesters while the BSN to DNP takes 5 semesters to complete. Prospective Post-Master's DNP students must hold a master's degree with a concentration in nursing as well as a national certification as an advanced practice nurse and a cumulative GPA of 3.5 in all graduate coursework. Those who hope to pursue the BSN to DNP are required to hold a Bachelor of Science in Nursing and a cumulative GPA of 3.0. In addition, they must have completed graduate level statistics courses. For nurses looking to advance their educations and careers, a Doctor of Nursing Practice or DNP is available at The University of Alabama in Huntsville. There are 2 pathways in the DNP program: 1 for nurses with a BSN degree and 1 for those with an MSN. Both pathways prepare students to provide patients and their families with complex hospital and community-based care and redesign nursing and health care systems. This program can be completed online and involves one mandatory DNP Intensive in the spring semester. Students in the DNP program can expect to take courses related to leadership, health policy, evidence-based practice and population-based care. Those who wish to teach after graduation are eligible for the Nurse Faculty Loan Program, which covers 2 semesters of tuition, books, fees and software costs. After a graduate works full-time in the same faculty position for 4 years, 85% of the loan may be canceled. Clarion and Edinboro Universities have partnered together to offer a Doctor of Nursing Practice. This online program is accredited by the Accreditation Commission for Education in Nursing or ACEN. It consists of 27 credit hours and involves core courses such as Leading Nursing in Health Care Systems, Advanced Topics in Population Health and Analytical Methods of Evidence Based Practice. Students will also be required to take elective courses such as Clinical Teaching Strategies in Nursing, Advanced Evaluation Strategies in Nursing Education and Advanced Care of the Individual and Family. In addition, students must complete a clinical internship and dissertation. Students can take courses on a part-time basis over 5 semesters. They will be admitted in cohorts and start the program in May of each year. Graduates of the Doctor of Nursing Practice program will be well-versed in policy, leadership, population health and clinical practice. At East Carolina University, students have the opportunity to enroll in a Doctor of Philosophy in Nursing that is delivered in an online and hybrid format. Admission requirements include a nursing degree from a school that is accredited by the Commission on Collegiate Nursing Education or National League for Nursing Accrediting Commission and a minimum GPA of 3.2 on all graduate work. Prospective students are also required to submit a written essay explaining why they wish to pursue a PhD in nursing, a curriculum vita and 2 written professional references. The 3 paths of this program include BSN to PhD, MSN to PhD and DNP to PhD. Students are required to maintain an overall grade point average of 3.0 and closely follow the plan of study as courses are only delivered once a year. After graduating with a Doctor of Philosophy in Nursing, students will be able to work as researchers, policy makers, analysts, university faculty or administrators in public and private health care organizations. At William Carey University, students may earn a Doctor of Philosophy in Nursing Education. It is designed for those in faculty positions that are interested in tenure roles where a PhD is required. Although the Doctor of Philosophy in Nursing Education can be completed in 2 years, students have 6 years from the date they begin the program to graduate. This degree involves 37 credit hours which include a 19-credit-hour dissertation. Most students work on their dissertation over the last 2 terms of their first year and first 2 terms of their second year. A few examples of the courses in this program include Role Development for the Nurse Educator, Advanced Curriculum Assessment and Evaluation and Program Evaluation Design. Prospective students must hold a DNP from an accredited school of nursing, have earned a minimum GPA of 3.5 on DNP courses and submit official transcripts from all colleges and universities attended as well as a resume and 3 letters of reference. Old Dominion University offers a Doctor of Nursing Practice that is accredited by the Commission on Collegiate Nursing Education or CCNE. This degree is for advanced practice nurses such as nurse practitioners, nurse midwives, clinical nurse specialists and nurse anesthetists. To enroll, students must have a master's degree. Although the majority of this 36-credit-hour program can be completed online, students will be required to visit the Old Dominion University campus in Norfolk, Virginia, once a semester to participate in a weekend of academic advising and various experiential activities. Since most online courses don't have scheduled meeting times, this degree is flexible and can be completed by nurses with professional and/or personal responsibilities on a full- or part-time basis. Students who graduate with a Doctor of Nursing can own businesses, design programs to improve the quality of health care, perform evidence-based research and develop interdisciplinary teams. Proof of registered nurse status. All DNP programs require incoming students to provide proof of an RN license and APRN specialty certifications. This complete educational and work history of the student gives the admissions committee a full picture of the student’s nursing background, especially prior clinical experience. Although many doctoral programs in nursing do not require GRE scores, some do, so check the requirements well in advance. These serve as an official record that the student has taken the necessary classes and received the prerequisite education. Most admissions offices will only accept transcripts directly from the host institutions, so applicants should check what the process entails. Most schools have their own individualized essay prompts, but they all revolve around the student’s academic interests and why they want to get a DNP degree. Usually two or three are required, with letters from former professors or work colleagues showing the student is qualified to succeed in the DNP program. The first year of a DNP degree program consists primarily of foundational coursework, including classes that cover topics such as epidemiology, statistics and evidence-based practice. Depending on the program, students may also begin working on their clinical experience requirements and capstone projects. This will be the final year for students entering a DNP program with a master’s degree. A rigorous course load expands to include elective courses that are relevant to the student’s chosen concentration. Students will also work on their capstone project. For those entering a DNP program with a bachelor’s degree, there will be more core coursework, with only a few electives. These years only apply to students who began their DNP education with a bachelor’s degree. During the last two years, these students will complete their capstone projects, continue with clinical experience, and take the bulk of their electives. In addition to coursework, students in most DNP programs must complete a capstone project, as well as fulfill clinical experience requirements, before graduation. Most DNP programs require students to undertake a scholarly project that demonstrates their understanding of concepts and experiences learned from clinical experience and program coursework. Work on the capstone project usually takes place over two years. DNP degree-granting institutions partner with local medical facilities to allow students to take information and theories learned in class and apply them in a clinical setting. 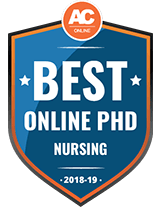 There are two primary routes to an online doctorate degree in nursing—the PhD and DNP—with each having unique characteristics. Students may review the focus and requirements of these distinct degrees to determine which is best-suited for entering a particular profession or nursing avenue. Theory is the underpinning of a PhD in nursing, and thus is ideal for those who would like to end up in an academic or research setting. For becoming a professor of nursing or conducting medical research, the PhD is probably the best choice. For nurses who want the hands-on work of treating patients, the DNP is the appropriate route. With its focus on practical knowledge and skills, DNP graduates are qualified to work in clinical settings such as hospitals, rather than a classroom or lab. For certain jobs, upon graduation of a DNP program students may need or want to obtain additional certifications showing they are proficient in a given specialty. For example, they may gain certification as an acute care nurse practitioner (ACNP) or a certified registered nurse anesthetist (CRNA). A DNP degree enhances a nurse’s career opportunities, job security, and earning potential. One of the ways the DNP does this is by allowing the nurse to specialize in a certain area on the journey to becoming a nurse practitioner. These are some of the most common concentrations for those in a DNP program. Allergies can be a nuisance and sometimes a life-threatening danger. Nurses who choose this concentration learn about the immunological bases of allergies and how they affect people. Certification in this field is offered by the American Board of Allergy and Immunology. Adult health NPs not only treat any illnesses their patients may suffer from, but also work to promote healthy lifestyles through education. Family health NPs work with patients across the majority of their lifespan, providing preventive care, treatment of illnesses, and disease management. With their work ranging from preventive care to diagnosing chronic diseases, pediatric and child health NPs treat children from infancy through adolescence. Work settings include a variety of locations, such as doctors’ offices and hospitals. This concentration concerns the treatment of tendons, muscles and bones. Nurses who concentrate in this area will treat patients with musculoskeletal injuries. Acute care NPs work wherever complex, intense and critical care is needed. They can be found in emergency rooms, intensive care units and critical care facilities. As primary care providers to the elderly, much of the care provided by gerontology NPs concerns rehabilitation, hospice care and treating medical conditions predominant in the elderly, such as dementia. Trauma-induced injuries and emergency care are the focus of this concentration. Nurses who specialize in this field will study emergency room protocols, triage, and emergency treatment procedures. Whether in hospitals, private practice or substance abuse centers, psychiatric and mental health NPs provide intensive treatment, including counseling and medication administration, to patients suffering from mental illnesses or problems. In a cardiovascular specialty, students learn about issues that affect the heart and lungs, and ways to treat those conditions. Topics of study include physiology, cardiovascular disease, and caring for recipients of heart transplants. Women’s health NPs provide medical services to women through most stages of their lives, from the late teens to post-menopause. They may also further specialize in midwifery to provide obstetric and gynecological care. Neurology deals with the identification and treatment of illnesses as they relate to the nervous system. Nurses learn how to treat a wide variety of patients, including those suffering from the effects of strokes and brain disorders. Nurses in this field have two certifications available to them: Stroke Certified Registered Nurse (SCRN) and Certified Neuroscience Registered Nurse (CNRN). The AANP is one of the premier professional membership organizations for nurse practitioners. The website contains information about financial aid opportunities for nursing students. The AACN establishes standards for nursing education at both the graduate and undergraduate levels. The ANA is the exclusive professional membership organization for registered nurses. This is a comprehensive source of information regarding the nursing profession in the United States. From financial aid to statistics to advice, this site has plenty of information for those interested in nursing. Comprised of advanced practice nurses, the organization’s goal is to promote the DNP degree and the nursing profession in order to enhance the overall care of patients. This program is designed to encourage registered nurses to work at medical locations with nursing shortages. In return, nurses receive partial payment of their student loans. This is a nonprofit organization dedicated to helping nursing students at all levels achieve their professional goals. 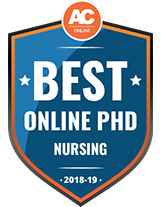 Find Online Nursing PhD Programs with the accreditation and affordability you need with our complete database of schools.